30 Years ago, in 1988, SEGA released the Megadrive home console in Japan. 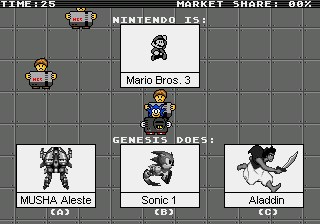 In 1989, the machine was released in the USA under the name Sega Genesis. To convince players that the 16-bit Megadrive / Genesis was better than the then-ageing Nintendo NES console, Sega created ads with a brilliant headline: "Genesis does what Nintendon't". 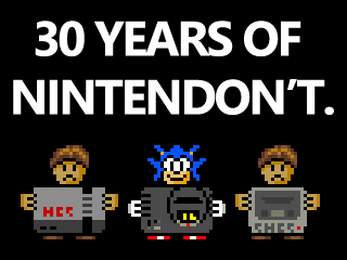 "30 Years of Nintendon't" is a tribute to the Megadrive / Genesis console and this wonderful marketing campaign. As a Sega evangelist, you'll have to convince players to leave their NES console and avoid the SNES because "Genesis does what Nintendon't". How much market share can you earn thanks to your knowledge of the Megadrive / Genesis games library? 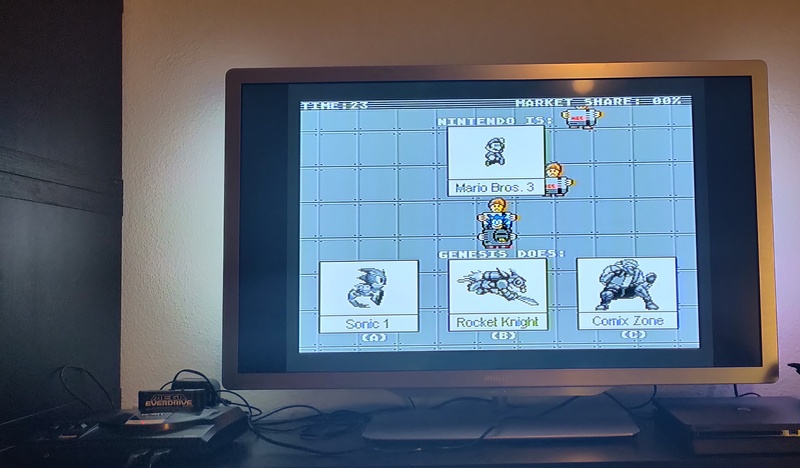 Online emulation powered by the wonderful RetroArch (Genesis Plus GX core), and more specifically the HTML5 port done by ToadKing. This trivia game is awesome to look Sega equivalents to Nintendo games because Genesis does what Nintendón't. I like the game! Thanks for some joy for the MD birthday!